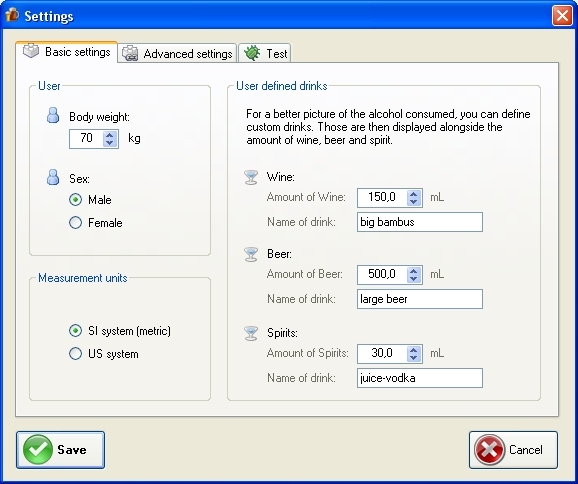 Drink Prog is a small program, which lets you monitor your consume of Alcohol and habits linked with it. 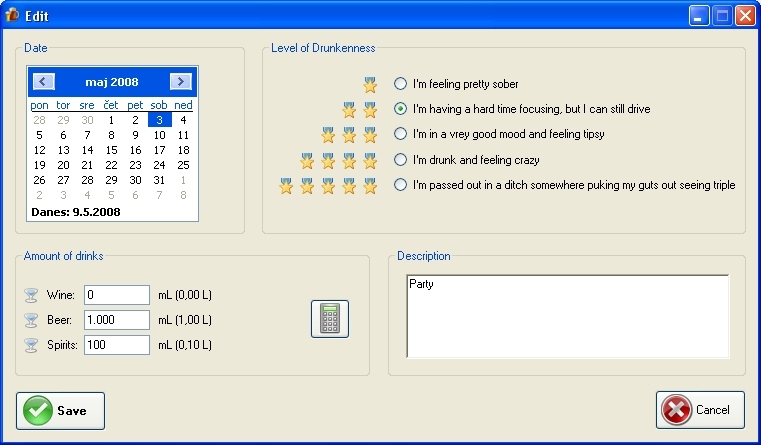 You just enter the day of the Alcohol consume, the amount of Alcohol and the level of drunkenness. 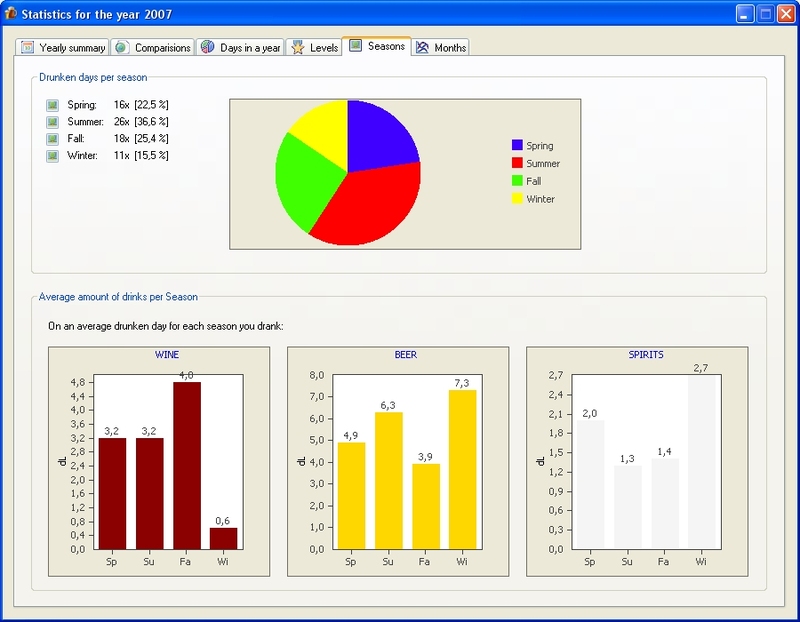 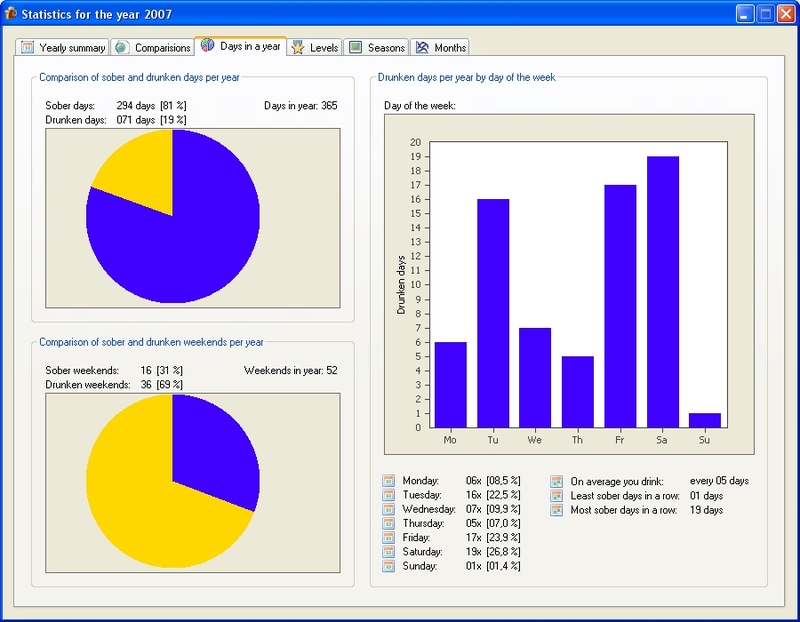 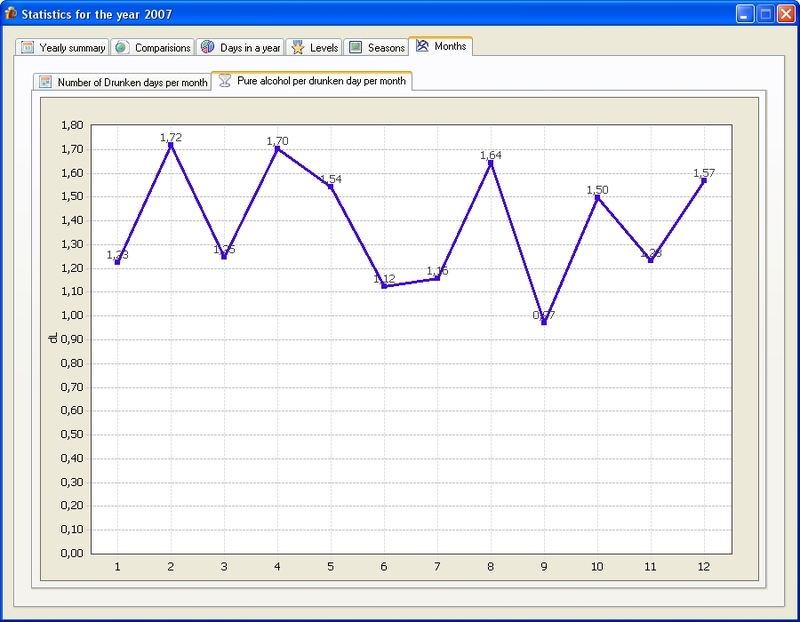 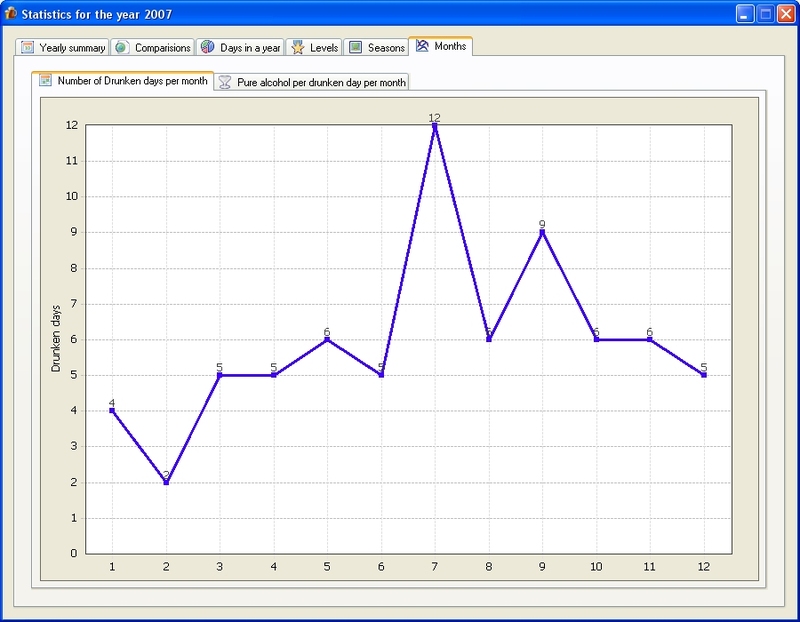 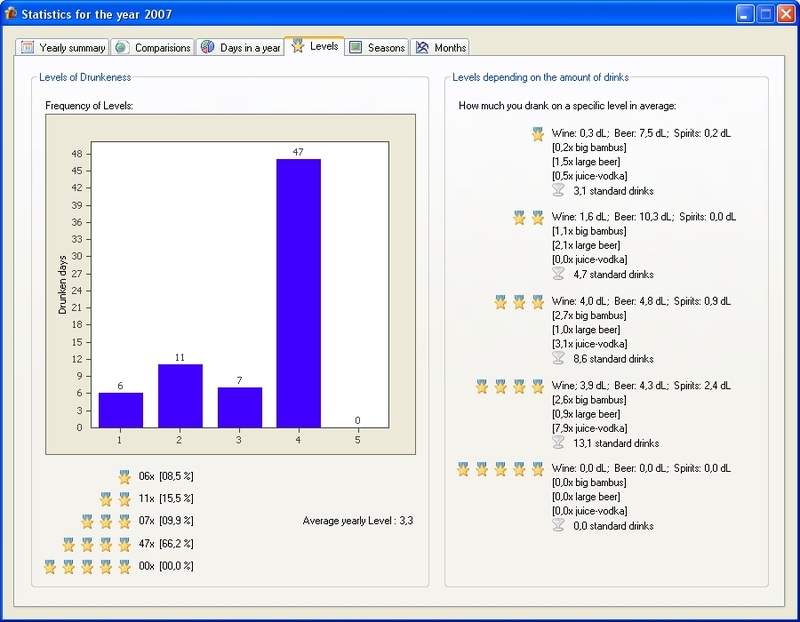 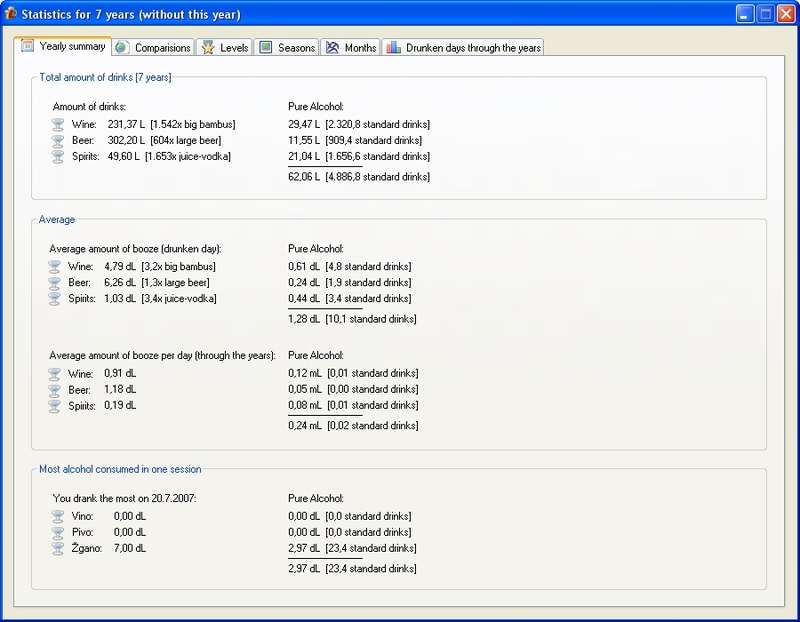 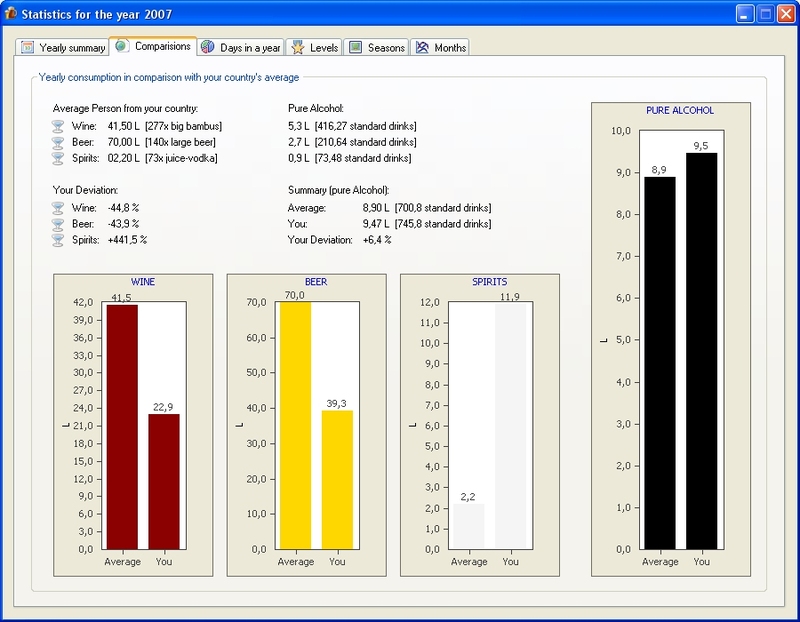 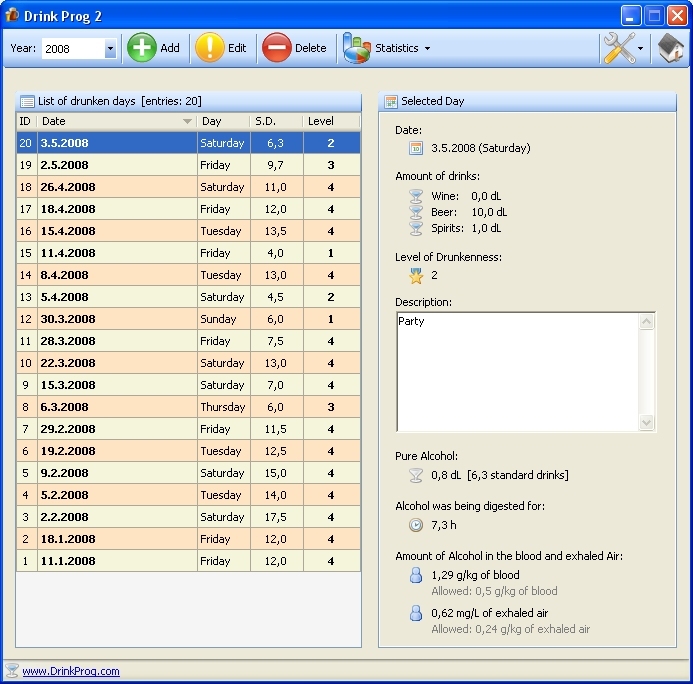 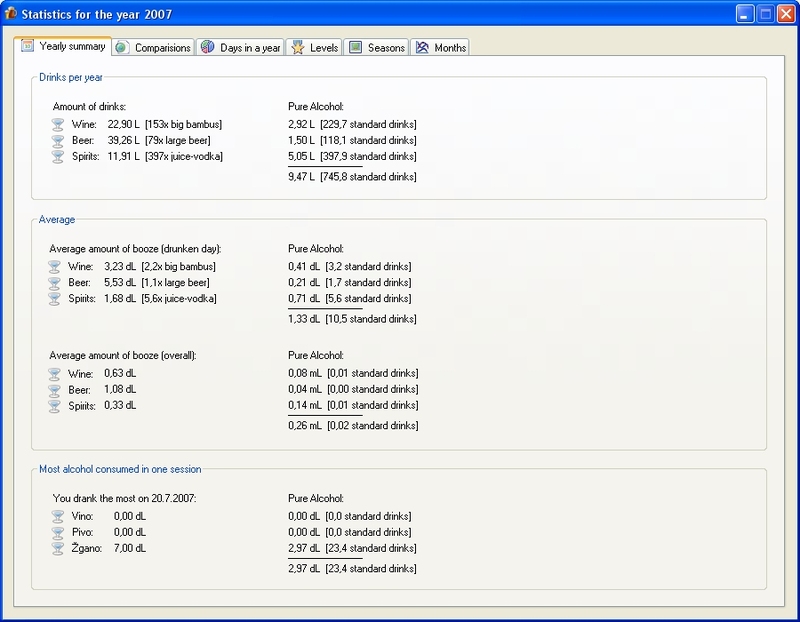 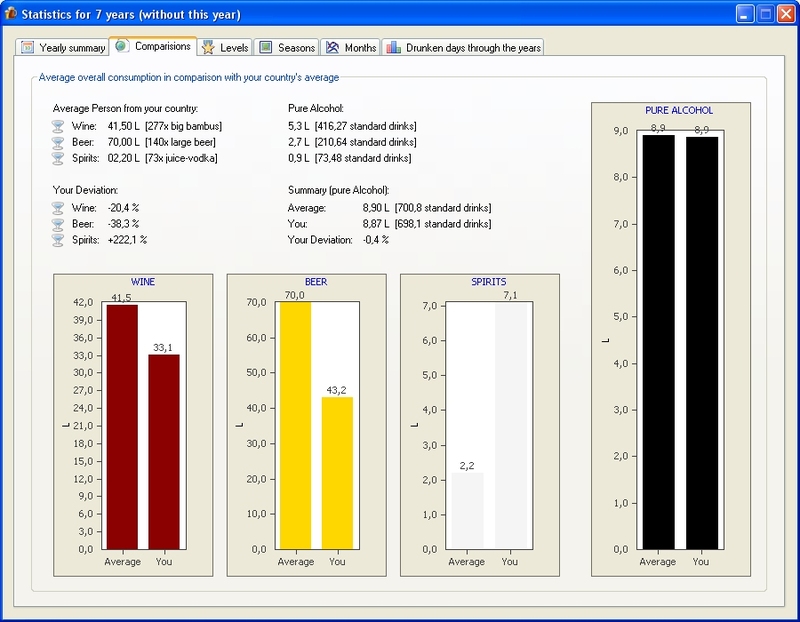 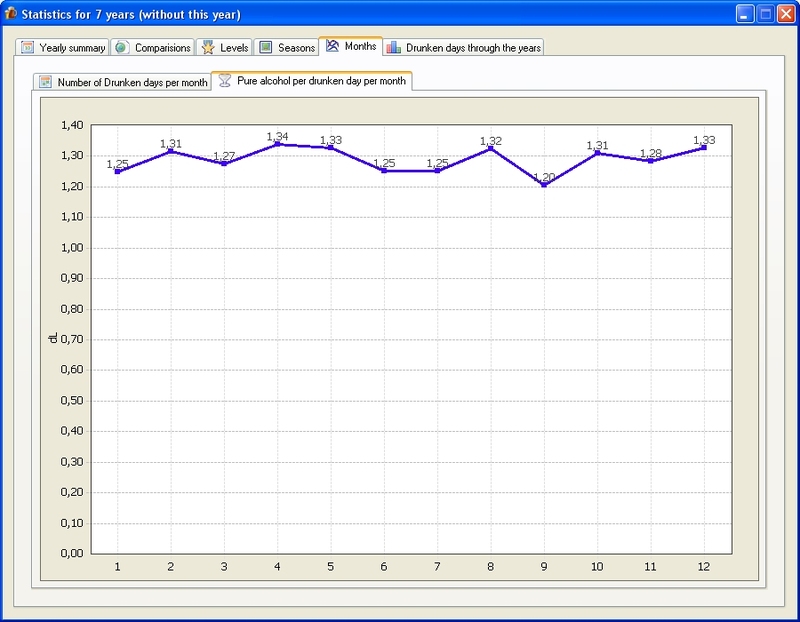 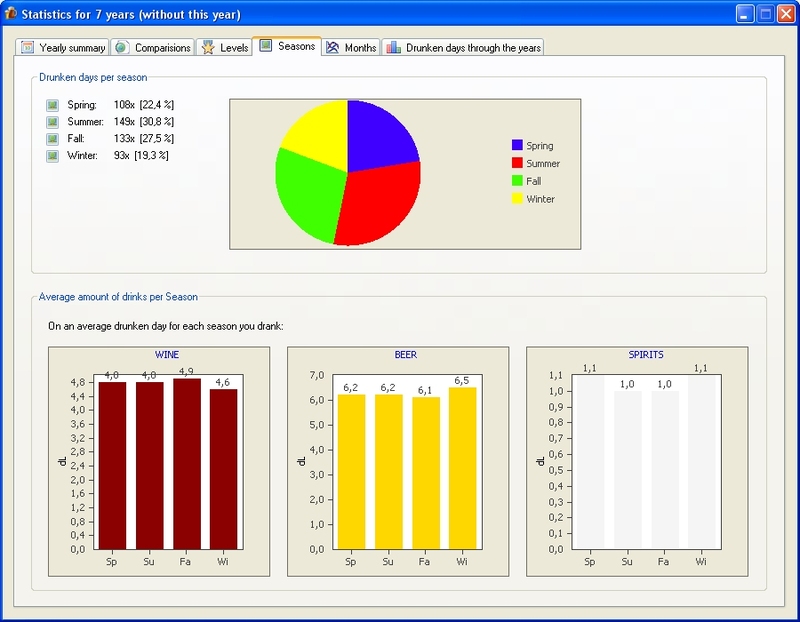 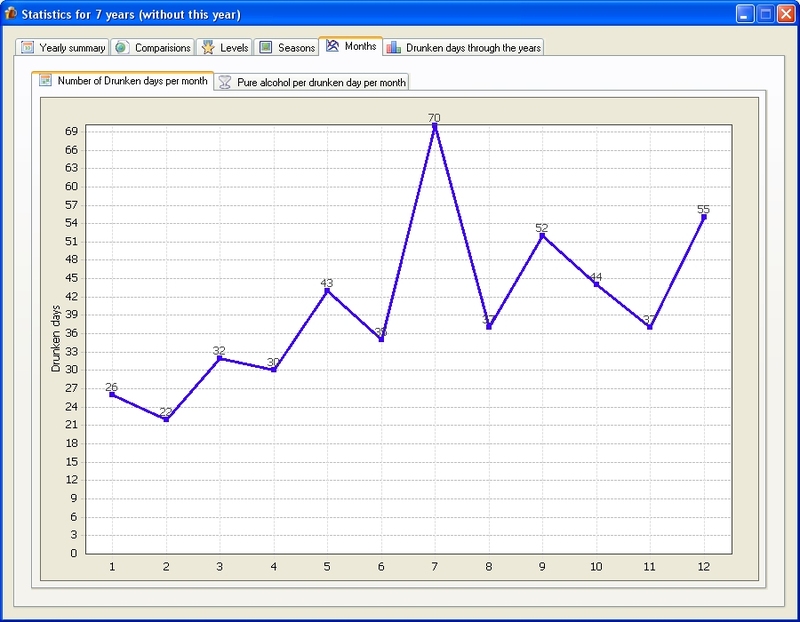 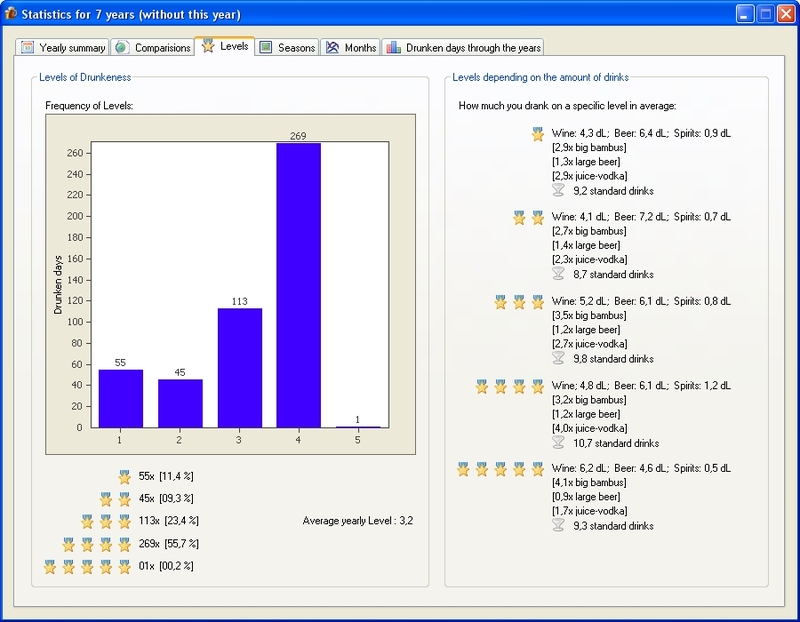 The program then calculates all the statistics and analyses. 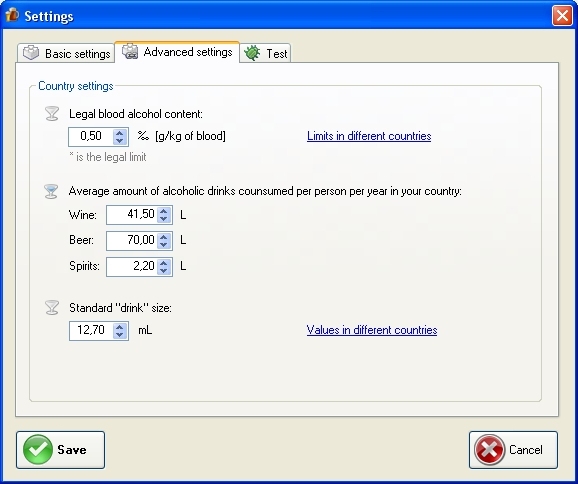 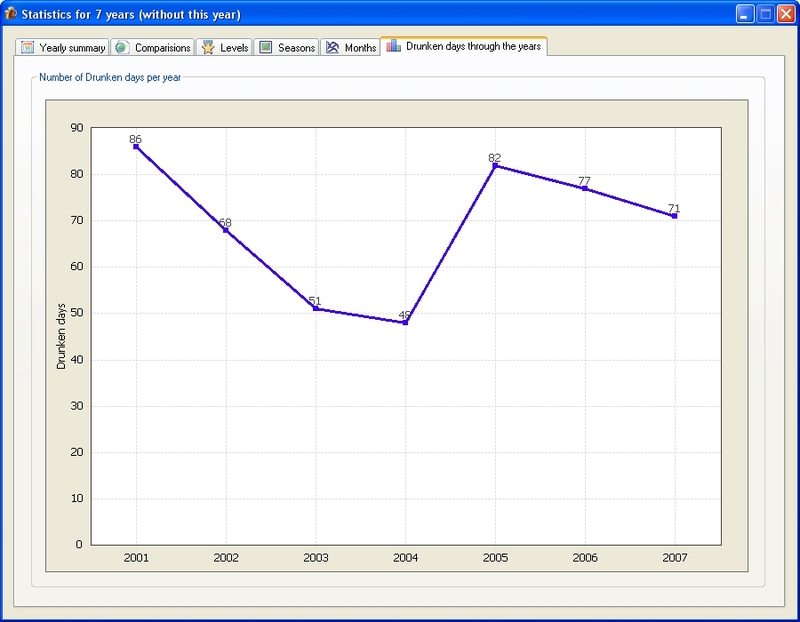 - Yearly amount of Wine, Beer and Spirits. 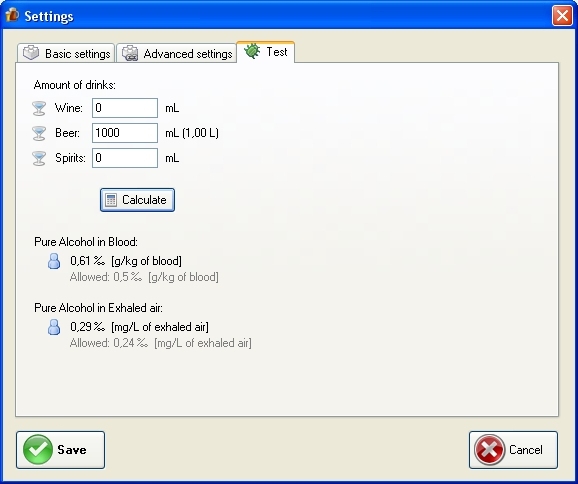 Also displayed as pure Alcohol and S.D.